The turban swag is when pleated scarfs of fabric meet in the center. Classically, the fabric scarfs overlap and a small swag is placed in the center. 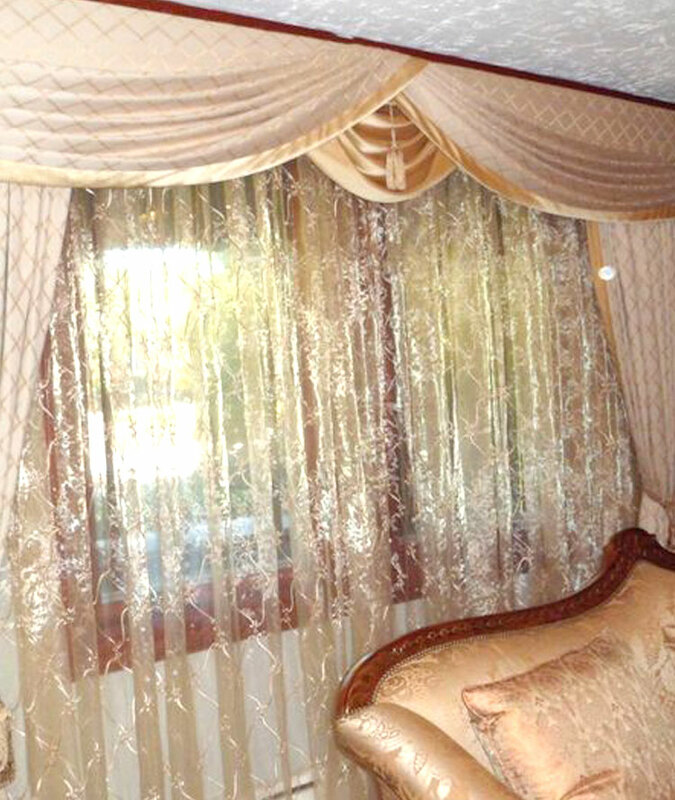 Like an actual “turban,” this window treatment looks regal.